There two types of waves: longitudinal and transverse waves. Both waves only transfer energy from one point to another without physically transferring the medium the wave travels in. 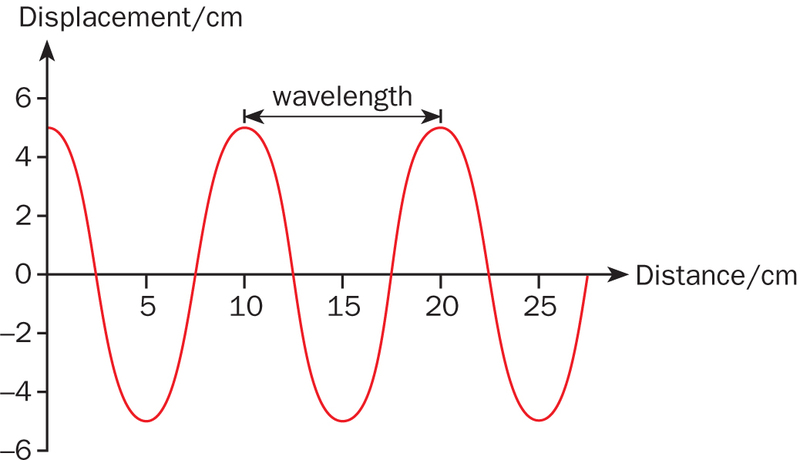 The source of a wave is a vibration or an oscillation. Wavefront is an imaginary line on a wave that joins all adjacent points that are in phase. 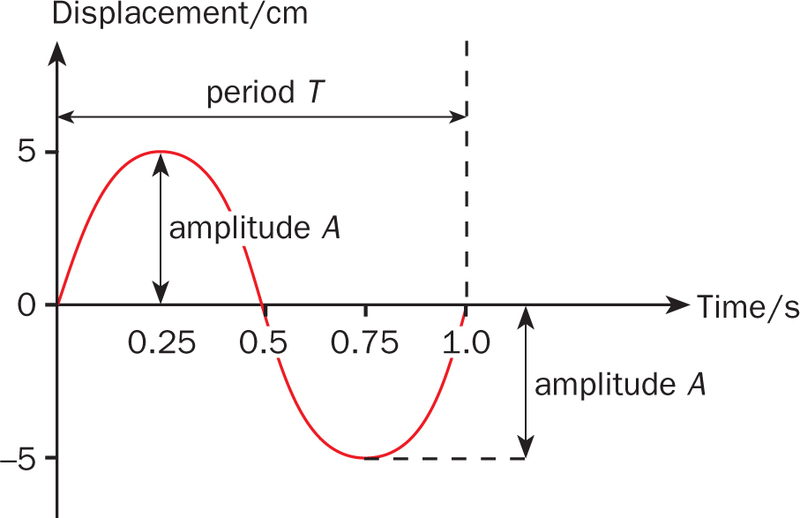 We can deduce amplitudes of the waves from both graphs. However, the graph on the left will allow us to deduce the period of the wave (displacement-time) whereas the one on the right will only provide us with the wave length (displacement-distance). Particles only oscillate back and forth about their individual equilibrium positions. Particles only oscillate up and down about their individual equilibrium positions. In real life, water wave like the one below is a combination of both transverse and longitudinal motions.